Designed especially for the trout angler. 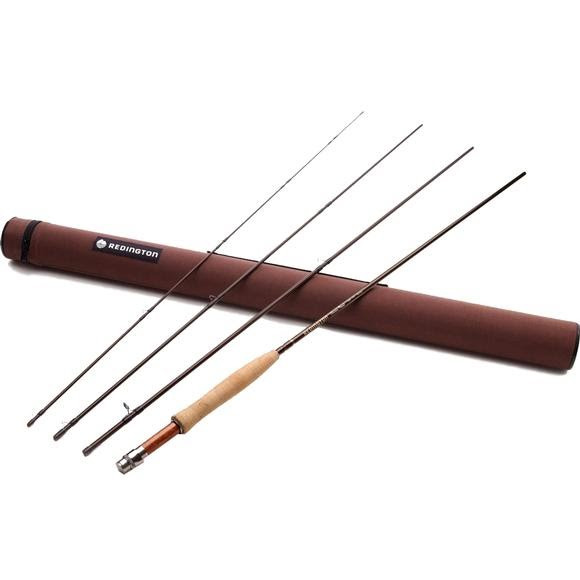 The moderate action of the Reddington Classic Trout 8ft 6in, 4 Piece, 4wt Fly Rod provides the delicacy needed for technical spring creeks, yet packs enough power for big river and boat fishing. The lightweight blank and forgiving action reduces fatigue for long days on the water. A moderate or medium action rod is very versatile. More forgiving than a fast-action rod, a moderate action rod is somewhat flexible but also offers a good degree of stiffness. During casting, a moderate-action rod will bend moderately for half of its length and the lower half will remain stiff.